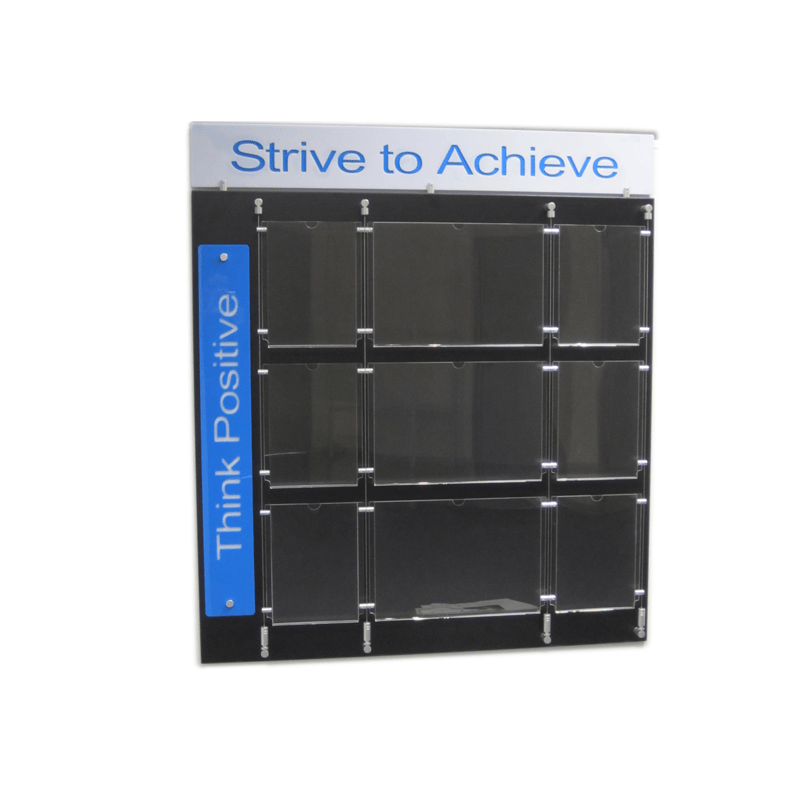 Transform any wall into a lively & inspiring communicator! 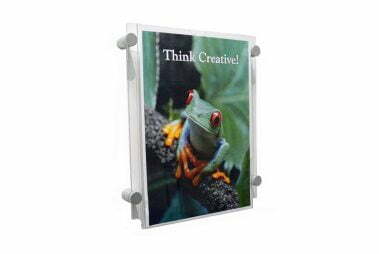 Communo Panels are an innovative visual communication display board, designed to display your literature & posters in a stylish & spacious wall display. 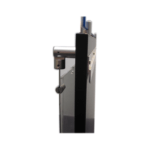 A series of clear perspex display pockets and brochure holders are mounted to a melamine backing board with polished silver cable system and clamps, along with optional acrylic signage for that extra motivation. Style A has display pockets for posters, certificates, and single page literature, with additional signage for an eye catching display. 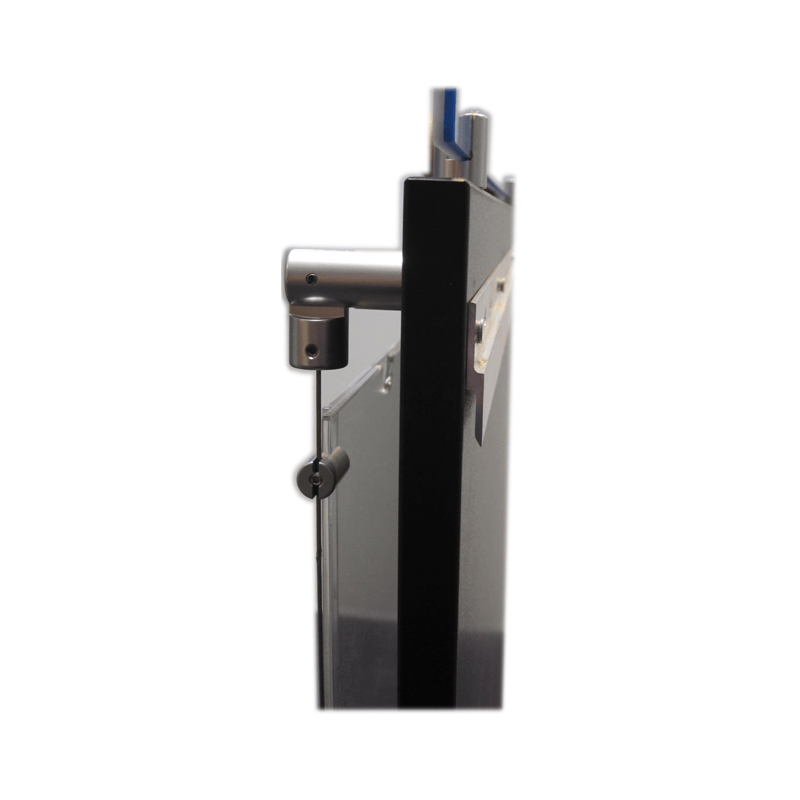 Style B has holders for brochures or catalogues and some display pockets for single page literature such as posters or certificates. 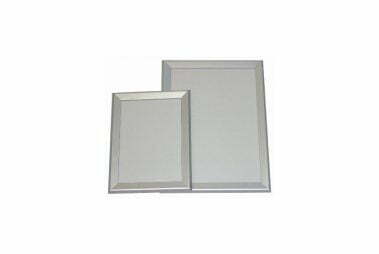 Style C has all display pockets for single page literature such as posters, awards, artworks, with no signage. How do I display literature? Displays achievements & certificates, posters, brochures, photos, artworks, much more. 6 x A4 Portrait & 3 x A3 Landscape Poster Display Pockets projected from a melamine backing board with stainless steel cable system. 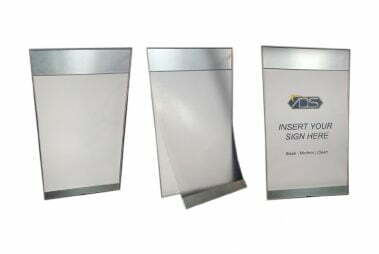 Signage panels mounted top & side – custom text available.